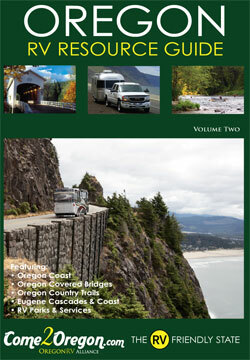 The new 2013 Eugene, Cascades & Coast Official Visitor Guide includes a two-page RV article called “Home on the Road” is now available from Travel Lane County. Order your visitor guide today & start planning you next trip. 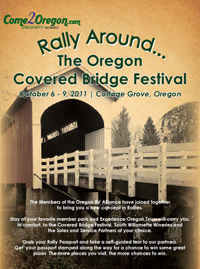 The Oregon RV Resource Guide: Volume Two – “Tailgate” Edition is now available (September 2012) throughout the state of Oregon at all ORVA member locations including member parks, dealers and service centers, as well as visitor centers and Chambers of Commerce throughout the state. They will also be distributed at a variety of RV and Coach Rallies such as Good Sam and Western FMCA (Indio). Coos Bay, North Bend & Charleston – The Oregon’s Adventure Coast is a one-of-a-kind coastal destination. With a temperate climate and great camp sites located a short drive to all they have to offer, you’re sure to not just find something to do, but something you want to do year-round. We are excited to welcome The Oregon’s Adventure Coast as our newest member – “Adventure is Waiting”. We’d like to extend a warm welcome to our newest member, the Florence Area Chamber of Commerce. Florence, Oregon, is the gateway to the National Dunes Recreation Area on the Oregon Coast. With activities such as sandboarding, hiking, fishing, wildlife viewing, beach walking, shopping and more, the Florence Chamber is your source for information on experiencing all that Florence has to offer. 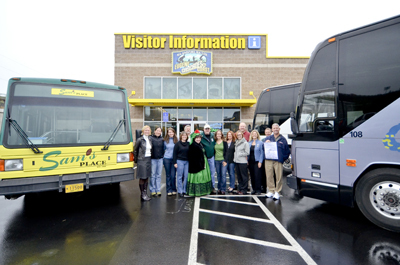 Everyone was a winner at the 2012 Travel Lane County Annual Visitor Industry Celebration. From the exciting performance by the U of O a’cappella group (On The Rocks) that kicked off the evening to the presentation of the awards, it was clear that all in attendance were winners as they came together to celebrate the vibrant tourism industry of Lane County, Oregon. The Oregon RV Resource Guide: Volume Two – First Edition will be available throughout the state of Oregon at all ORVA member locations including member parks, dealers and service centers, as well as visitor centers and Chambers of Commerce throughout the state. They will also be distributed at a variety of RV and Coach Rallies such as Good Sam and Western FMCA (Indio). 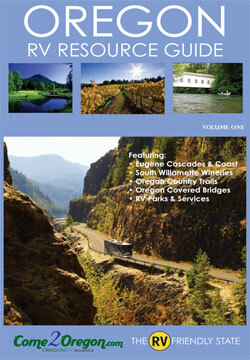 It’s time to purchase your ad in the upcoming Oregon RV Resource Guide. In March of 2012, Travel Lane County celebrated the two-year anniversary of their Eugene, Cascades & Coast Adventure Center in Springfield, Oregon. Their new 2012 Eugene, Cascades & Coast Official Visitor Guide was also published and is now available. Order your visitor guide today & start planning you next trip. 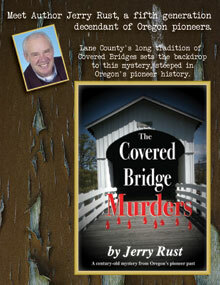 ORVA board member Jerry Rust is the author of a new novel, “The Covered Bridge Murders“, that is steeped in the tradition of covered bridges in Lane County, Oregon. 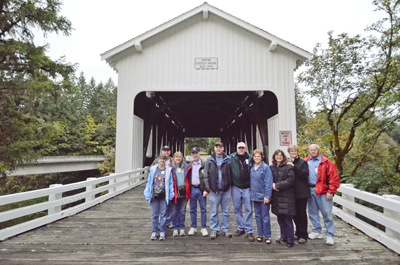 Oregon’s pioneer past creates the backdrop to this murder mystery. The Oregon RV Alliance and it’s partners are excited to show you all Oregon has to offer, from the finest wines to culinary delights to top notch RV services and supplies. Everything you need is right here at Come2Oregon.com.